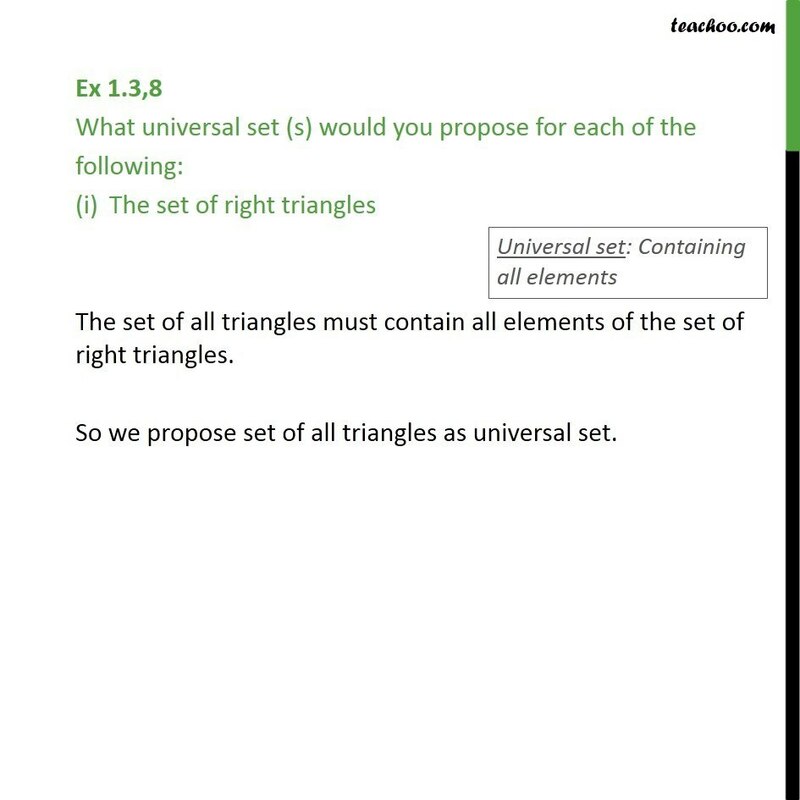 Ex 1.3,8 What universal set (s) would you propose for each of the following: The set of right triangles The set of all triangles must contain all elements of the set of right triangles. So we propose set of all triangles as universal set. 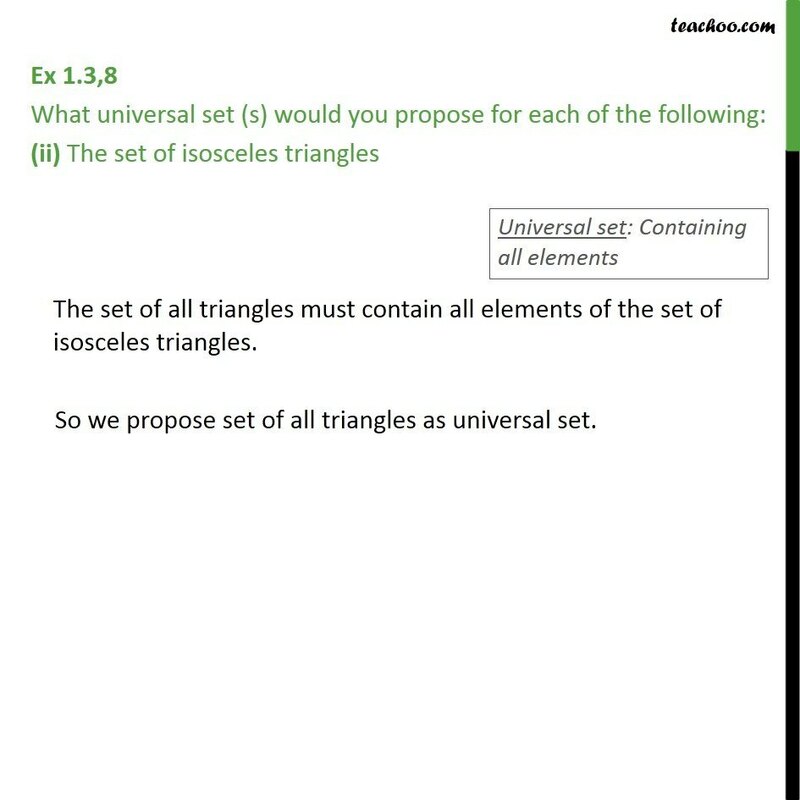 Ex 1.3,8 What universal set (s) would you propose for each of the following: (ii) The set of isosceles triangles The set of all triangles must contain all elements of the set of isosceles triangles. So we propose set of all triangles as universal set.